Beijing. 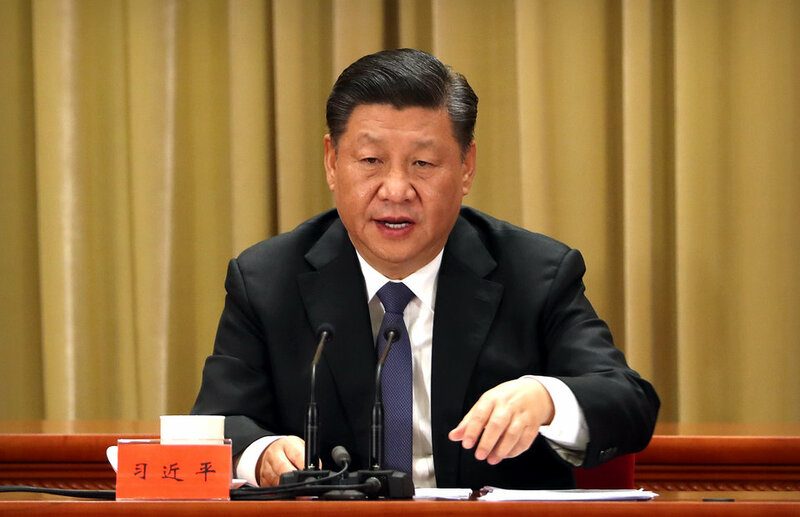 China reserves the right to use force to bring Taiwan under its control but will strive to achieve peaceful "reunification" with the self-ruled island that has a bright future under Chinese rule, President Xi Jinping said on Wednesday. Taiwan is China's most sensitive issue and is claimed by Beijing as its sacred territory. Xi has stepped up pressure on the proudly democratic island since Tsai Ing-wen from the pro-independence Democratic Progressive Party became president in 2016. Xi has set great personal store in resolving what the Communist Party calls the "Taiwan issue," holding a landmark meeting with then-Taiwanese President Ma Ying-jeou in Singapore in late 2015, just before Tsai was elected. Xi spoke at Beijing's Great Hall of the People on the 40th anniversary of a key Taiwan policy statement. He said "reunification" must come under a one-China principle that accepts Taiwan as part of China, anathema to supporters of Taiwan independence. The vast majority of Taiwan's people are clearly aware that independence would lead to a "grave disaster," Xi told an audience that included Taiwanese business people and senior party officials. "China won't attack Chinese people. We are willing to use the greatest sincerity and expend the greatest hard work to strive for the prospect of peaceful reunification," Xi said. This, though, was aimed at foreign forces who seek to interfere and the tiny minority of Taiwan independence forces and their activities, Xi said without elaborating in what was likely a reference to the United States, Taiwan's strongest backer. There was no immediate reaction from Taiwan's government. Xi reiterated that China was willing to talk with any party in Taiwan to push the political process – stalled by China since Tsai took office – as long as they accept the "one China" principle. He sought to reassure people in Taiwan that there was nothing to fear from Chinese rule, even though most people there have shown no interest in being run by autocratic Beijing.